Two people fall in love, not yet knowing where they have come from or where they are going. Kevern doesn't know why his father always drew two fingers across his lips when he said a world starting with a J. It wasn't then, and isn't now, the time or place to be asking questions. Ailinn too has grown up in the dark about who she was or where she came from. On their first date Kevern kisses the bruises under her eyes. He doesn't ask who hurt her. Brutality has grown commonplace. They aren't sure if they have fallen in love of their own accord, or whether they've been pushed into each other's arms. But who would have pushed them, and why? Hanging over the lives of all the characters in this novel is a momentous catastrophe—a past event shrouded in suspicion, denial and apology, now referred to as What Happened, If It Happened. 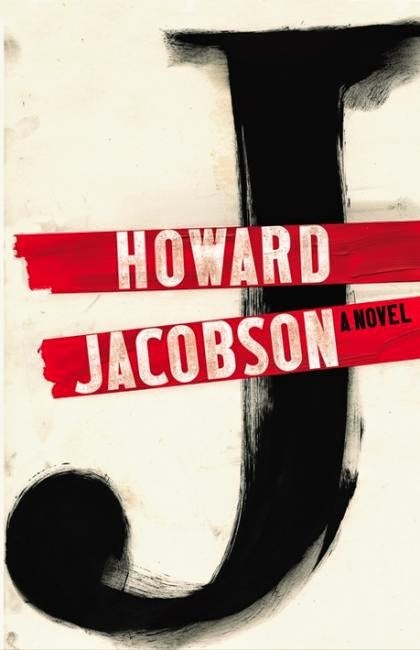 Alongside Us, The Bone Clocks, and How To Be Both, J by Howard Jacobson was one of a number of novels longlisted for the Man Booker Prize in advance of its publication date. A source of frustration for some, I'm sure—though this has ever been the panel's habit—but for others it represents a reason to update reading radars. This year, I found myself amongst the others above, because if not for the nod, I doubt I'd have looked twice at this book. 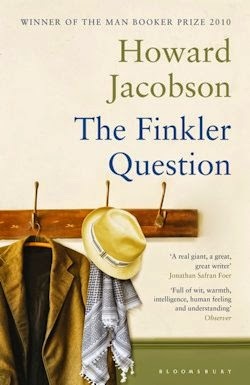 When I did, additionally, it was with some scepticism; after all, Jacobson has won the Booker before, for The Finkler Question in 2010—the first comic novel to take the trophy home in 25 years—and pointedly acknowledging former nominees is another of the panel's practices. Not today. J, I'm pleased to say, is in every sense deserving of its spot on the longlist. 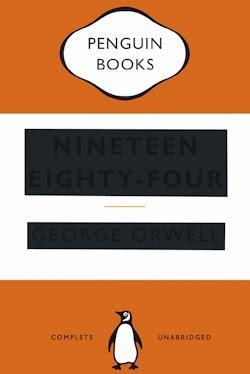 It's a literary revelation wrapped in understated dystopian clothing; a wonder of wit and whimsy that takes in the chilling and the ridiculous—the hilarious and the horrific. That said, it's a novel that requires rereading to appreciate completely. Out of the gate, J gives every indication of being a bit of fun: not necessarily forgettable, but as slight as it is light. 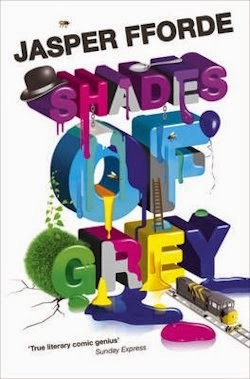 I caught myself thinking of it as the next best thing to a Shades of Grey sequel, not least because the tumultuous relationship it's arranged around takes place generations since WHAT HAPPENED, IF IT HAPPENED: an event so obfuscated, initially, that the folks of this future can't see the wood for the trees. We aren't any the wiser either... nor will we be for the foreseeable. But though the nature of WHATEVER IT WAS THAT MAY HAVE TAKEN PLACE remains frustratingly vague, its knock-on effects are evident in everything up to and including the text's telling title: a double-crossed J to signify the sealing of Kevern 'Coco' Cohen's lips against the aforementioned letter. But why, we wonder, would anyone do that? And that's your answer: a nonsense now, yet in retrospect, singularly significant. Dour and defiant, Kevern is somewhat one-note—if I had to find fault with the fiction I'd indicate his simplicity—whereas Ailinn's origins as an orphan are but the beginnings of her charm and depth and complexity. As individuals, then, they're interesting, if not interesting enough to carry an entire narrative. Together, though, they're easily able to take the strain. Never mind the warmth or the whip-smart banter between them, and forget, for a second, their shared sense of humour: the sheer thrill of their relationship in the happy times and the sad is so extraordinarily rewarding that it's easy to ignore the story's sinister overtones. WHAT HAPPENED, IF IT HAPPENED is revealed eventually, albeit through an accumulation of allusions—as opposed to an explanation—which collectively cast the events of Jacobson's latest in such a frightful light that an instant replay is practically required. Yet it's Kevern and Ailinn's ill-fated affair, as tragical in time as it is immediately magical, that readers will be drawn to the first time they make their way through J. Reason enough in itself to update your radar, I dare say. It's best you figure out the rest for yourself—revelling, in the interim, in your innocence. I'm almost halfway into it and it certainly is much, much better than The Finkler Question. I think I have an idea already what the central mystery is, but for once I've foregone reading the concluding chapters after the introductory ones. Will finish it tomorrow. Good to see that what I liked about it so far seems to hold up to the end.